Home » Training » How Long Does It Take To Build Muscle Mass? Your muscle tissue will not just appear magically. You simply cannot just show up at your local gym, do a few bench press sets and expect to grow new powerful muscles. That is just not how it works. There simply has to be an extremely good and valid reason for your muscles to grow bigger. Without a sufficient reason to become bigger, they just won’t grow. Now, among the reasons for those muscles to grow is by getting stronger. The logic is that each time you place additional stress on your muscles, they respond by evolving to accommodate the new levels of stress placed on them. Therefore, an excellent method of adjusting your muscles to new stress levels is by actually getting stronger. Once your muscles begin getting stronger, they eventually will adapt to the new levels of strength by becoming bigger. The muscle building process is a very gradual one that does take some time. Once the muscles begin getting stronger, you ought to also begin witnessing some initial muscle growth in around 2 to 4 weeks after you saw the initial increase. This of course is not exactly the same for everyone because we are all different and it could take much longer or shorter for some. It all depends on several factors such as your diet, age, genetics, and rest levels among others. But How Long After Working Out Do You See Results? Many times, when most of us begin working out, we really expect to witness rapid positive outcomes. To a degree, the exercise will immediately make you feel somewhat better in the form of the so called feel-good endorphins. 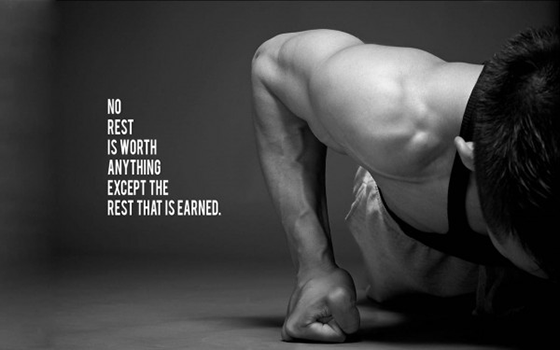 However, the majority of those doing the exercises are really after something much more than that. I am sure you want something more visible, long term and typically a silhouette that is leaner, faster fat loss, and more muscle gain. Your training age refers to the duration or period that you’ve been doing the exercises. If for example, you’re a newbie, it is possible for you to gain additional muscle faster than if you had been doing it for a couple of years. The testosterone amounts plus other hormones that build muscles in your body change as your regimen doesn’t assist in eliciting an appropriate testosterone response or the body just fails to generate as much testosterone as required. Some men have a natural inclination to build lot of muscle as a result of factors like hormonal balance, or the frame thickness of their bodies whereas some others have challenges in muscle building no matter the effort they put in. See the 3 body types explained for more info. If for example you weigh some 180lb and then you opt to undertake training for an event like the marathon, you might shed off a solid 20 pounds of muscle. So what is the duration it would take you to regain those 20lb of lost muscle? The odd answer is that it will not take you long at all. Perhaps just 1 to 2 months. This is due to the fact that your body has an internal mechanism that restores the previous homeostasis or “muscle memory”. 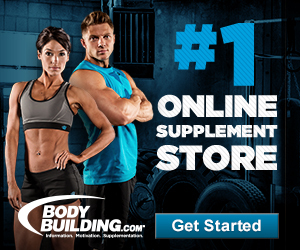 Heavy duty supplements such as steroids or several other performance enhancing substances which may be potentially harmful could aid your muscle building efforts, but I want to believe you are too smart for that kind of thing. Other less harmful, though still potentially harmful materials such as Creatine could also assist your muscle growth. Optimize on these two components along with a good routine for training and you could look forward to some rather fast growth of your muscles, irrespective of where or who you are. The main thing that you ought to bear in mind is that the higher the levels of intensity, the more stress your muscles face. Making use of weights that are heavier is one of the best methods of adding more intensity. As such, as you are gradually adding more intensity into your training program, you are also adding extra stress to those muscles which over the passage of time will grow. The question still remains, how long after working out do you see results such as muscle gain? On a general note, men can add anything between 1.5 and 2.5 pounds of solid muscle each month if you diligently adhere to a program that is well structured. The average gain for men is around half of a pound weekly. Women on the other hand add on muscle mass at a rate that is slower compared to their male counterparts largely as a result of their own testosterone levels. This comes to about ½ pound each week or a single pound per month. How Long Before I look Well Toned After Working-Out? If you are carrying out regular and consistent workouts aimed at muscle toning, you could expect to experience, in perhaps just 2 weeks, a difference in terms of more muscle definition. These are the exercise types which could be quite challenging, but typically, they really don’t leave you with any sore muscles the following day. Does the intensity count towards how long after working out do you see results? The main aspect to keep in mind is that the levels of intensity must be continuous, increasing with each period of training so that your muscle may continuously be adapting to the new levels of stress. This intensity levels progression do take time and should be slow or progressive. However, so long as with each passing workout session your muscles are getting better, you will go on adding or building. To improve with each session of working out, either you can make use of additional weight, perform more of the same weight repetitions, or perform your workout sessions in faster time. These elements will all increase the intensity, keeping the muscles growing. If you stop improving, then you got a problem. Consistency is the secret. You also have to remember that growth of your muscles will not occur while you are physically at the gym; it takes place as you rest. The process works by placing stress on the muscles, giving them adequate rest time and feeding them well, and then hitting them in the gym once again when they are well rested. Always keep in mind that muscles that are well will always become stronger. Well, to say the least, this will again all be dependent on how well you are progressing. If you are a beginner, you can expect to witness an immediate improvement in muscle tone and strength so long as you remain consistent in your training. However, be aware that you may not immediately start seeing slabs of a powerful muscle mass; but for sure, there will be marked improvement generally. In terms of the time frames, this will in all probability be after about one month of training consistently. If you are consistently improving on a 3 week training cycle involving weights, you may expect some good gains in your muscles in around 15 weeks or thereabouts. 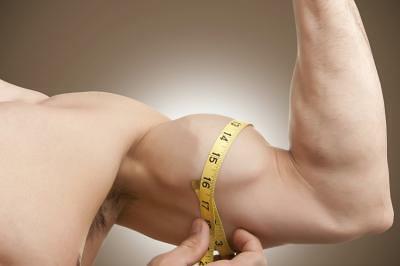 To be very realistic, a 2 pound per month of muscle gain is possible for beginners during the initial six to 12 months. And that is quite a lot. Trainers who are in the intermediate or advanced levels can after about one year’s consistent training expect between 5 and 15 pound of muscle gains every year. Nevertheless, the longer you keep on training and improving, the harder you will notice it becomes to build extra muscle. 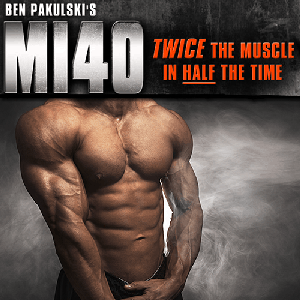 The fact is that after four and above years of training, count yourself very lucky if you gain an additional 10 pounds of pure muscle mass each year thereafter. Now, always remember that your diet as well as your rest levels have a huge part to play in this muscle building process. To be very sincere, if you really desire to add those extra muscles faster, you simply must manage the diet you are eating very well. This is simply not debatable. If you consume a healthy diet that is calorie dense which is way above your daily expenditure of calorie, you are bound to see positive outcomes much faster. It’s relatively easy and fast to gain solid muscle tone. However, it’s also very quick in fading in case you stop doing the exercises on a regular and consistent basis. When it comes to fitness of any nature, consistency is vital. The real secret to see results depends on the way you are improving from each workout to the next. Remember, muscle building is basically a gradual process during which you will experience sporadic growth spurts now and then. Keep in mind too that growth of your muscles can never be uniform. The growth does not progress on a consistent and uniform basis, so be prepared for spurts and lulls. The key is not to stop building those muscles.